For too long, “large adult sons” have run roughshod over the rest of us. The catch-all label can apply to any former boy who has come of age — to be a man is somebody’s son, though larger than a child — but also describes a character, the unpromising doofus who somehow makes others pay the price for his immature and cretinous behaviour. Indeed, beefy, boisterous lads and tantrum-prone thirtysomething gamers have turned the nation into shambles. The president’s grown male progeny are implicated in vile corruption. White supremacist rallies have swelled to mobs of manflesh clad in the white polo shirts and khakis their moms bought them for job interviews. Whenever we’re at risk of recognizing a marginalized demographic, the large adult son appears to demand his blood tribute. He feeds on baloney-mayo sandwiches and rumors about upcoming Marvel films. He is “skeptical” of the #MeToo movement. He will not be silenced. Unless, that is, we’re seeing a change of guard. On the horizon, you can just make out an enormous shape — more massive than the largest adult son. He is… an absolute unit. This unit of esteemed absoluteness, photographed here with Queen Elizabeth II, is David Morgan-Hewitt, managing director of the royal family’s favorite luxury hotel, The Goring — but he’s also so much more. He’s the answer to everything boorish and unruly in a large adult son. Stately and calm, with manners to suit a monarchy (and a prudently private Twitter account to boot), his stupendous size is no impediment to his professional air. If anything, it amplifies his legend. He’s known to be unflappable, yet given to sartorial flair and spontaneous singing, all these eccentricities held in masterful balance. “I don’t believe my personality overpowers; if it does then it is a mistake,” he says. Where the large son is unchecked energy, an absolute unit is the picture of poise. As the New Yorker’s Jia Tolentino wrote in her definitive essay on the phenomenon of large adult sons — both the meme and the reckless, destructive, real-world scions — “sons act out when they are defined by their fathers, and fathers are disgraced by the oafish flailing of their sons.” But the absolute unit is proof that the seemingly uncontainable aggression of mammoth males can button itself up; that men may break with patrilineal pressure, becoming something other than bumbling junior apprentice. Unlike large adult sons, the unit isn’t bound by the inconvenience of gender. Properly speaking, the absolute unit needn’t be masculine, or even human — just absolute. 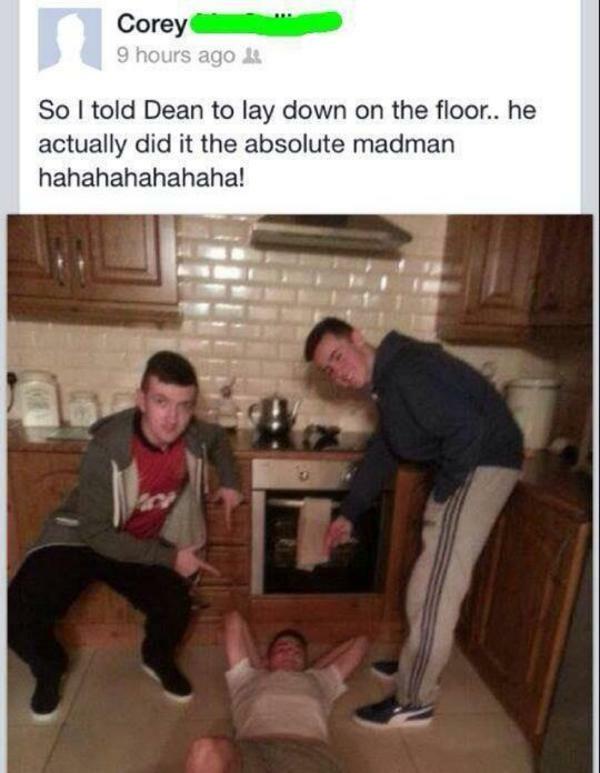 In “absolute” you have an ideal British superlative, a word that conveys an extreme, but a thoroughly positive one: The “absolute madman,” for example, is a fellow whose brand of mischief turns out to be hilariously innocuous or polite — the original absolute madman was a dude who laid down on a kitchen floor when his mates told him to. The “absolute boy” is none other than Jeremy Corbyn, leader of the U.K.’s Labour Party, whose unflinching progressivism has made him a hero among leftist lads. Then there’s “unit,” a term of singular totality, of clear measurement and precision. A unit is “an individual thing or person regarded as […] complete but which can also form an individual component of a larger or more complex whole.” The unit is wildly impressive in his own right, but assemble an array of units and you will have a unit a thousand times as formidable. Units condense; they stand shoulder-to-shoulder in solidarity. In the couple of months since we first became aware of absolute units, no consensus has emerged as to how we might marshal them against the alarming tide of large adult sons. No matter — my faith in these units is as absolute as they are. We are discovering new ones each day. The planet cannot tip too far off-axis with such immutable good standing surely upon it. It is not mere fantasy to wonder if each and every large adult son will eventually meet their match in a specific absolute unit. The appeal is obvious. No longer do we send David into battle against Goliath — instead we bring a bigger Goliath. Patriots quarterback and large adult son Tom Brady was bested in this year’s Super Bowl by the Eagles’ QB, Nick Foles, who fits the mold of an absolute unit. The U.S. Supreme Court, acting as a monolithic unit, told the large adult Republicans of Pennsylvania to stop whining and accept an electoral map of the state redrawn to undo their gerrymandering. The adult flat-earther son who tried to prove the unscientific theory with a DIY rocket flight couldn’t escape the unit-like gravity of the decidedly spherical Earth itself. Who knows: Perhaps Trump, our large-adult-son-in-chief, will be brought low by Special Unit Robert Mueller. Worried about using the wrong pronoun? Just call someone "an absolute unit". There’s an order to history underneath its chaos. You see it only in flickers that shine through pinholes in the gloom. But all those sparks are a part of one greater, limitless light — an absolute unit of splendor — and large adult sons are doomed to wither in this glow. They have no talent for dynasty; they are sons, not fathers, and when they do manage to procreate, it’s an empty gesture. 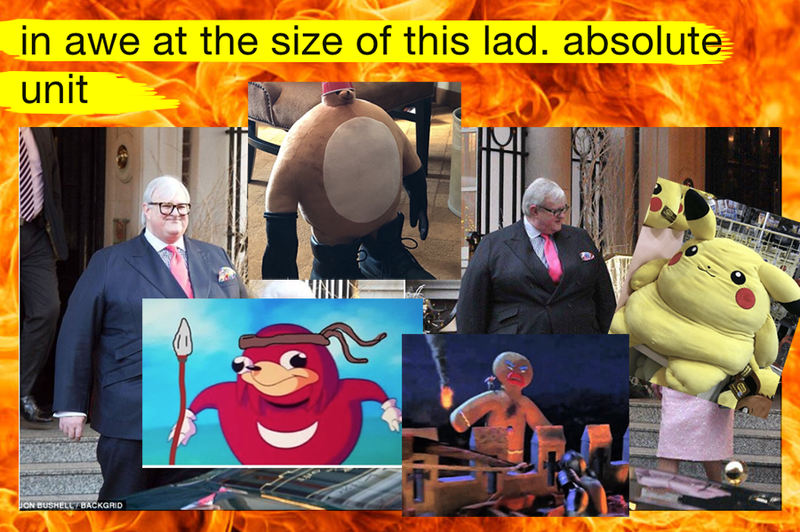 Their power must expire, and nothing can prepare them for the absolute unit’s holy judgement. So should you harbor any large adult sons or be one, make what peace you can before long. By the time you answer a heavy knocking at your door, it will be absolutely too late.